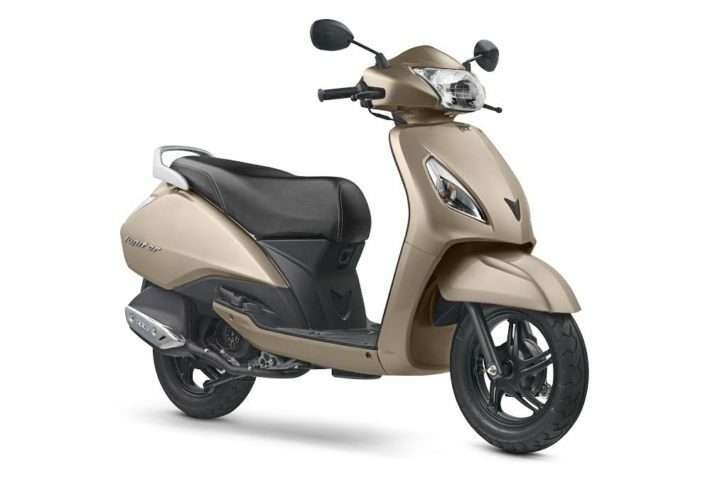 Recently TVS Motor launched the 2017 edition its very popular scooter Jupiter in India. The all new 2017 TVS Jupiter is now BS-IV compliant.. Which means it is a lot less polluting. It is also now offered in two new colors- Mystic Gold and Jade Green. 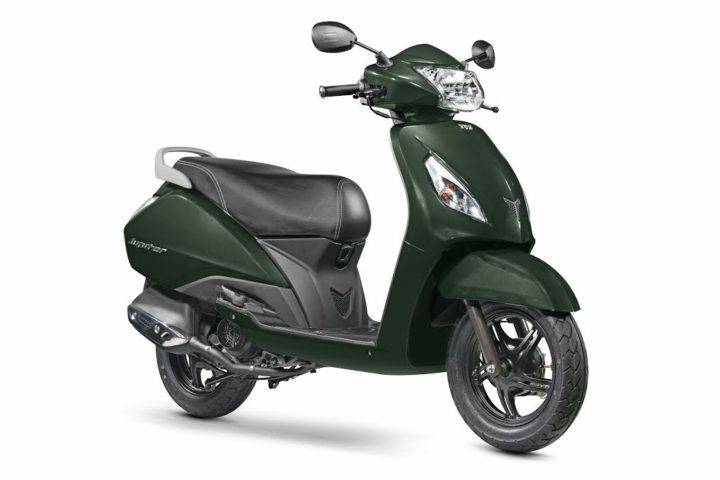 The scooter looks a lot more refreshing and is equipped with Auto Headlamp On (AHO) and Sync Braking System (SBS). The best part is that the 2017 TVS Jupiter has gone on sale without any price hike. Read on to find more on the new model TVS Jupiter 2017. The new model TVS Jupiter 2017 is powered by the same old 110 cc engine. Hence the power and torque outputs also remain pretty much the same. The primary change is the BS IV compliance and AHO. Another new feature is TVS’ version of Honda’s Combi Braking System named as Sync Braking System. The all new 2017 TVS Jupiter costs the same as the previous model. Prices of the Jupiter 2017 start at Rs. 49,666. The ZX variant, which comes with a front disc brake, costs a couple of thousand Rupees more. According to the official figures, the earlier model of the TVS Jupiter had a fuel efficiency of 62 KMPL. The mileage should remain the same as the engine remains unchanged. As mentioned earlier the 2017 TVS Jupiter carries the same engine- the 109.7 cc single cylinder engine. The primary update here is that the 2017 Jupiter is BS4 compliant. Hope you liked this article on the 2017 TVS Jupiter. Stay tuned to indiaautoz.in for more such updates and developments in the Indian Auto Industry.